This week you will get to give more attention to your partner or your coworkers. In your personal life as in your professional life, communication is the key. There is dissonance with Venus and you feel like nobody cares for you. Be patient, people will come back around you in a few days. You don't feel like communicating and your professional approaches may get a little more complicated. If you work in the trade field, wait a few days then... go for it! 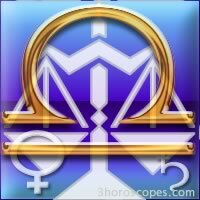 Libra : do you know your zodiac sign ?